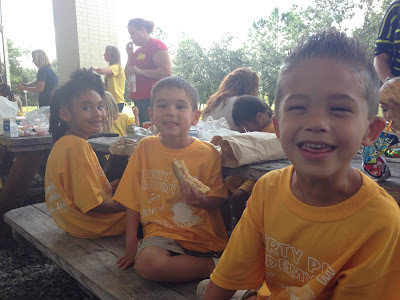 Connor's first school field trip was this past Friday. 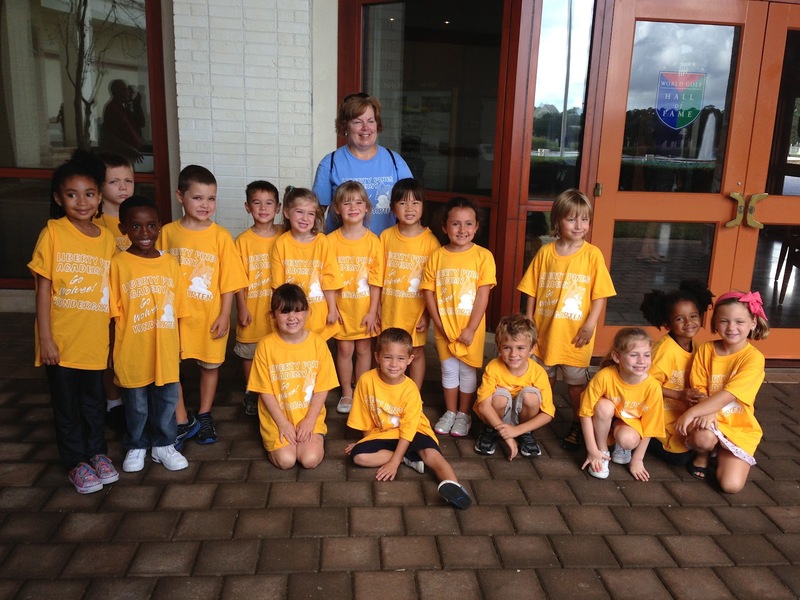 The class went to see "Born to be Wild" at the local IMAX theater. 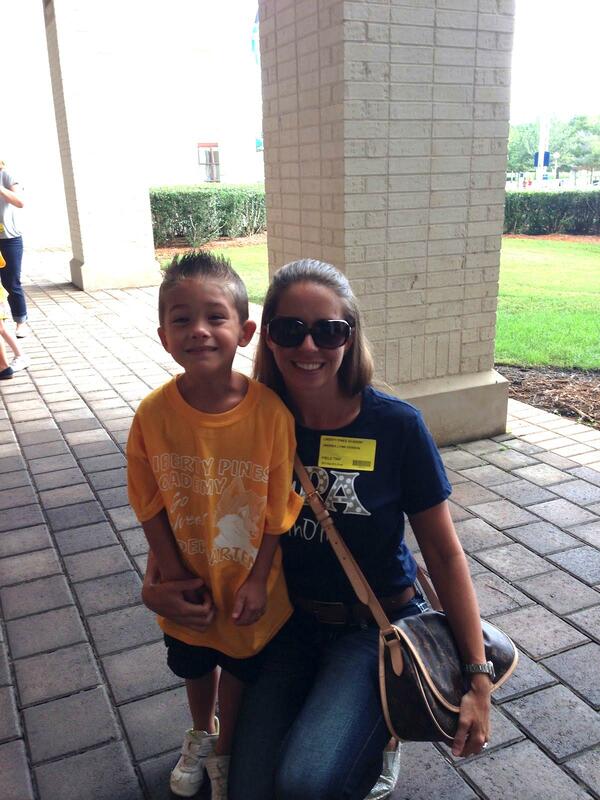 Mommy went along and even rode the bus! It was a fun trip, although Connor said the movie was boring. Connor and his friends sat together tat lunch and enjoyed eating there. 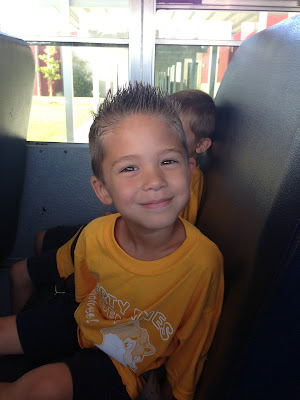 He liked riding the bus with Mommy!